Explosive revelations by MP gone rogue Jami-Lee Ross hogged headlines and preoccupied political reporting all week but the volume of coverage obscured reporting of some of the significant parts of the saga. “In an astonishing development in the National Party leak story, the Botany MP Jami-Lee Ross says he will resign from Parliament and stand in the by-election as an Independent." That was how Nicola Wright began RNZ’s midday news last Tuesday. 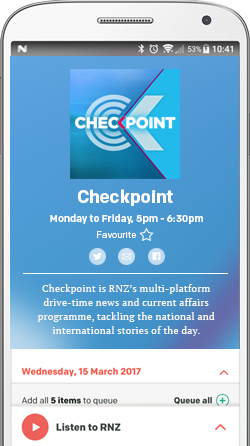 RNZ usually reports just the facts and leaves it up to the listener to decide if they’re astonished or not - but what had unfolded over the previous two hours was certainly startling. Jami-Lee Ross initially jumped before he was pushed and accused his own leader of offences carrying a prison term. “National is in flames - Live!” screeched Newstalk ZB on Tuesday. 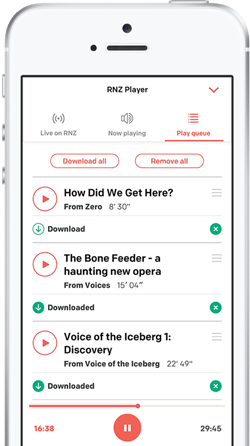 “Now I know how that Banksy picture felt as it got pushed through the shredder," lamented Tim Beveridge, the host of Newstalk ZB’s midday news show The Hour, whose carefully-crafted comment on National's crisis was already in the dustbin of history. But the media also played a big role in what was playing out. It was back in August that Simon Bridges’ six-figure spending on travel was leaked to Newshub. It did not seem like a heads-must-roll sort of scoop at the time. Mr Bridges broke no rules and spent only marginally more than some other leaders in recent years. That was due to be made public in a few days anyway. "Simon Bridges has copped an inordinate, unfair and just plain wrong amount of stick for what his many critics have deemed to be amateur-hour handling of something which should have been brushed aside with barely a moment’s thought," veteran political correspondent John Armstrong wrote on TVNZ’s One News Now site onTuesday. But the disloyal leaking itself could not be ignored, he said. There had been more on Monday morning when Simon Bridges was confronted with fresh leaks of internal polling and misreported political donations. Again the leaks went to Newshub - this time ahead of Mr Bridges' weekly interview with Duncan Garner on the AM show. "Get the popcorn. The knives are out," said the excited host. Within two hours of Mr Bridges identifying Mr Ross as the travel expenses leaker, Newshub was asking its online audience: “If it was up to you, who would lead National into the next election? Cast your vote below, and help Mr Bridges know who to watch out for." And that was before Mr Ross's first secret recording was released - on Facebook and to the Police - and before Newsroom’s Melanie Read and The Herald’s David Fisher revealed claims of serious misconduct and harassment leveled at Mr Ross. Former National Party staffer and go-to media pundit David Farrar, Nine To Noon's left-leaning pundit Stephen Mills and Newstalk ZB’s Barry Soper all reckoned this was like House of Cards. In an opinion piece for the RNZ website, Victoria University's Bryce Edwards called it “high drama”. “At its heart the scandal is empty. It contains nothing of significance for democracy and society." But some very significant issues have arisen from all that has played out. It has revealed possible breaches of the rules on political donations. Bitter battles were fought over the electoral finance rules little more than a decade ago - something media companies themselves took a strong stand on. The week has also shed light influence-peddling and candidate selection in the National Party. Online outlets Newsroom and Politik and the New Zealand Herald’s David Fisher also revealed mayors and present and past MPs lobbied for donor Zhang Yikun to receive official honours. Stuff, The Herald, and Newsroom all highlighted politicians and candidates from a range of parties cosying up to donors in the past. The Spinoff called the past week a kick up the arse on Chinese state influence here and Newsroom’s Bernard Hickey called for a hard look at who is donating money to our politicians and why. It's a fraught area for the media as well as politicians. Some will see energetic scrutiny as xenophobic. "There is no need to be spontaneously paranoid about all ethnic Chinese donors and "foreign interference". But we need to be realistic about the bigger picture," writer Tze Ming Mok noted in a comment for the Herald. There are issues for the media to ponder at the level of the individuals involved in this. There could be high-level, high-stakes defamation cases to follow which could test a public interest defence recently introduced by the court. There’s also the unresolved issue of one MP with mental health issues so severe Mr Ross sought to shut down the investigation of the expenses leak. Media will now be wary of anyone in politics they suspect as playing the mental health card to escape legitimate scrutiny. Political consultant Simon Lusk - a core character in Nicky Hager’s Dirty Politics - is also back in the news. Mr Ross isn’t the only National Party politician known to have engaged him and 2014's Dirty Politics now looks like an unheeded warning from history. Mr Ross said he will keep on lifting the lid on the National Party - or “dishing the dirt from under the political bed-sheets” as The Herald put it. Media newsrooms will have to work out what is really in the public interest when revenge is part of the reason for future disclosures. Likewise, how they handle legally-made but ethically-dodgy secret recordings of the type Mr Ross has up his digital sleeve. One thing revealed in Mr Ross's tape number one was that Mr Bridges wanted to spend some money on fresh political ads for national. Metro’s Graham Adams pointed out the old ones promoting the party as lean, coordinated squads of well-toned rowers and runners streaking past flabby, divided opponents look a bit out of date now. The other problem with those ads is the soundtrack which prompted rapper Eminem to sue the party for copyright infringement. It is no coincidence presumably that Eminem riffs also soundtracked Patrick Gower's National lampooning on The Project last Wednesday when he joined the chorus of pundits dropping the mic on Simon Bridges' leadership. Coincidentally, Eminem will be performing in Wellington next March - but National will not want his new album for any ads right now. It’s called Kamikaze and the title track is all about a frenzied man with a plan to take people down with him. And - a bit like Mr Ross’s recording last Wednesday - the language is probably too blue for the National Party's taste.